Have you ever thought what would be the life of a gamer without graphic cards. Well it would be like a soul parted from his body. As for in today's life graphic cards are very necessary. Today you not only use your computer for make those boring stuffs life making spreadsheets or documents, Today we use it as a gaming console-yes or not? while choosing a graphic card you must be confused in terms of which is better or low cost or whatever. Today this guide will help in choosing a perfect graphic card for your Console(PC). This category was flooded by the most basic graphic cards, Palit Geforce 210 , Big Geforce 9500 GT, and XFX Radeon HD 4550 there were 2-3 more but the cheapest is the Radeon 4550 and the performer is Geforce 9500 GT. you can use it to set up a basic HTPC. This category is for the guys crazy for the gaming. here we have ASUS EAH5750 formula, ZOTAC Geforce GTS250, Sapphire RadeonHD 5670, Powercolor Radeon 5750, Biostar Geforce GTS 250, and the cheapest is EAH 5750 formula and the performer is Powercolor Radeon 5750. 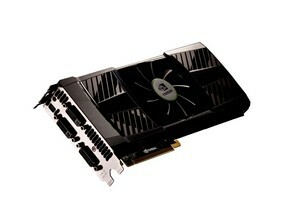 Do you have enormous amount of money, and you are crazy about your gaming experience here we have the fastest graphic card on earth presenting the NVIDIA GTX 590 it will cost you around Rs 44,250. But believe me if you buy it you don't have to worry for the next 5-10 years.